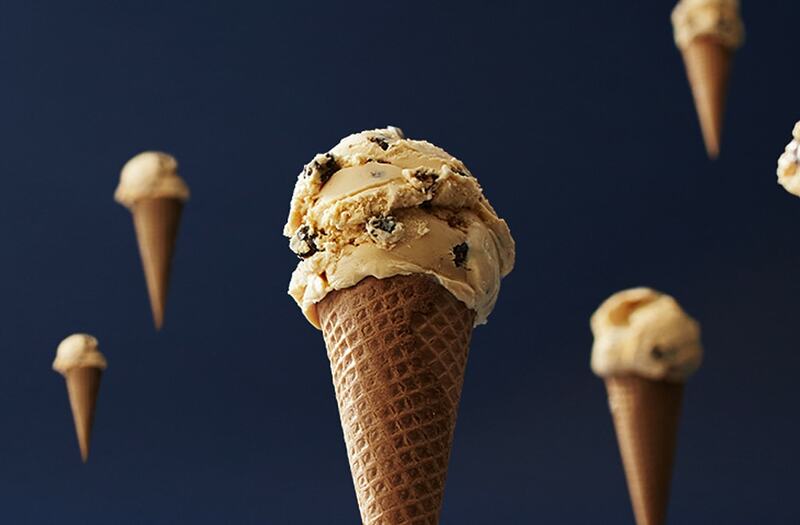 That's what we'll be saying as we devour a scoop of our favorite ice-cream flavor on Tuesday, May 9 when Häagen-Dazs rolls out its annual Free Cone Day. From 4 to 8 p.m., participating shops will be handing out one free scoop to customers — and you can choose between a cup, sugar cone or cake cone. But that's not what all the buzz is about this year. What most people don't know is that one-third of the world's crops — and more importantly, one-third of Häagen-Dazs flavors — are dependent on pollination by honeybees. Without the bees, Rocky Road would have no almonds, Toasted Coconut Caramel would have no coconuts and Raspberry Sorbet wouldn't exist because there would be no raspberries. 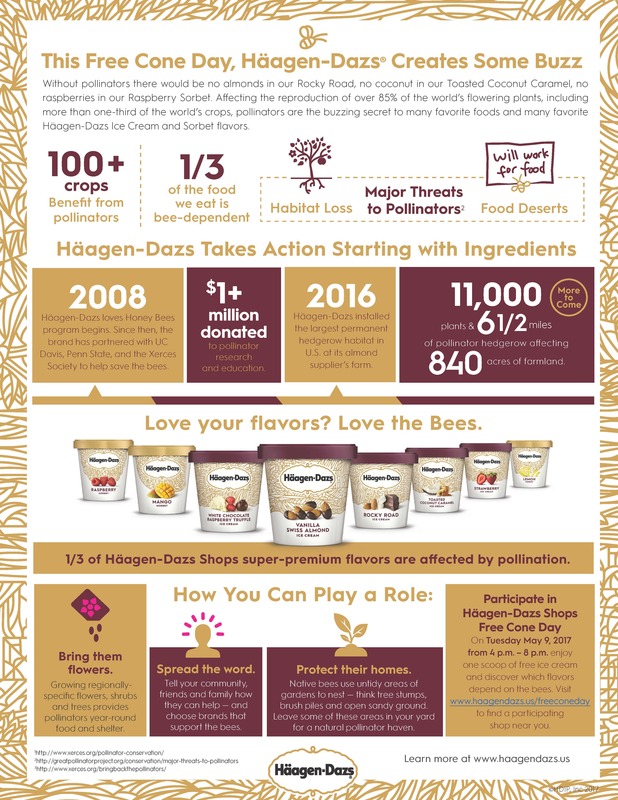 Häagen-Dazs has donated nearly $1 million to date towards saving the bees, and now they want customers to help pay it forward. The company is asking those participating in Free Cone Day to plant wildflowers native to their region in order to keep the bees happy (and populating). You can find out just what plant that will be by visiting the ice-cream giant's website. Steal a scoop, save a bee — Yes, honey! Register for the email list at Bakers Square, and you’ll get a free entree with the purchase of a second entree and two drinks. Sign up for the Buca di Beppo e-club, and you’ll get free pasta, plus a $20 gift on your birthday. Become a member of the Flavorhood at Checkers, and you’ll land a coupon for a free order of large french fries with any purchase. Brave the elements and join the Blizzard Fan Club at Dairy Queen, and you’ll receive a coupon for a buy one, get one Blizzard treat free. Sign up for the Raving Fan EClub at Del Taco, and you’ll enjoy two free grilled chicken tacos, plus a complimentary premium shake on your birthday. Enlist in the Pancake Revolution at IHOP, and you’ll secure a free full stack of Rooty Tooty Fresh ‘N Fruity Pancakes, plus a gratis meal on your birthday. Join the Olive Garden E-Club, and enjoy a complimentary appetizer or dessert when you order two adult entrees. Say “I do” to the Hut Lovers at Pizza Hut, and you’ll get free cheese sticks with a future online order. Join the crew of the Fresh Catch Club at Red Lobster, and choose a free appetizer or dessert when you order two adult entrees. You’ll also get a surprise birthday offer. Sign up for So Connected at Ruby Tuesday, and you will receive a free appetizer when you join, plus a free burger or Garden Bar entree on your birthday. Join Sizzler’s Real Deal Eclub, and you’ll get a free entree. Sign up at Subway and agree to receive weekly text offers, and you will get a free 6-inch sandwich with the purchase of a 30-ounce drink. Join Fridays Rewards, and you’ll get “free food like chips and salsa with every Fridays visit,” according to the chain’s website. Join the Village Inn e-club, and you’ll enjoy a slice of pie on the house with an adult entree purchase.